The HQ Ignition: A True Progression Machine! SKU: N/A. Categories: Hq Powerkites, Kites. Tags: paragliding, super light, windkite. The Ignition combines the advantages of a handy Kite, without lacking performance. Even the highest performing Kites are useless, if they can’t compensate gusts, are hard to relaunch or have a feckless depower system. Let’s be honest, who lives in a spot, where wind blows constantly at the same speed and the water is being spared by waves and currents? The bar offers every attribute of safety, devoid of unnecessary gimmicks. The cleat above the bar insures easy trimming of the lines while flying the Kite. Different sized riders benefit from the static stopper ball, which allows a customized throw setting. To minimize abrasion, coted center lines were appended which also contribute to more comfort while unhooking. The stainless steel swivel on the center lines will prevent the very from twisting. Additional, the mini fifth line features an integrated bungee, that provides ultimate safety by preventing tangling and flopping while depowered. The streamlined Chicken loop fits securely into the bar and stays rigid while unhooked. With its easy triggering and reassembling even inside the water the magnetic quick release is the last aspect that contributes to a perfectly safe ride. 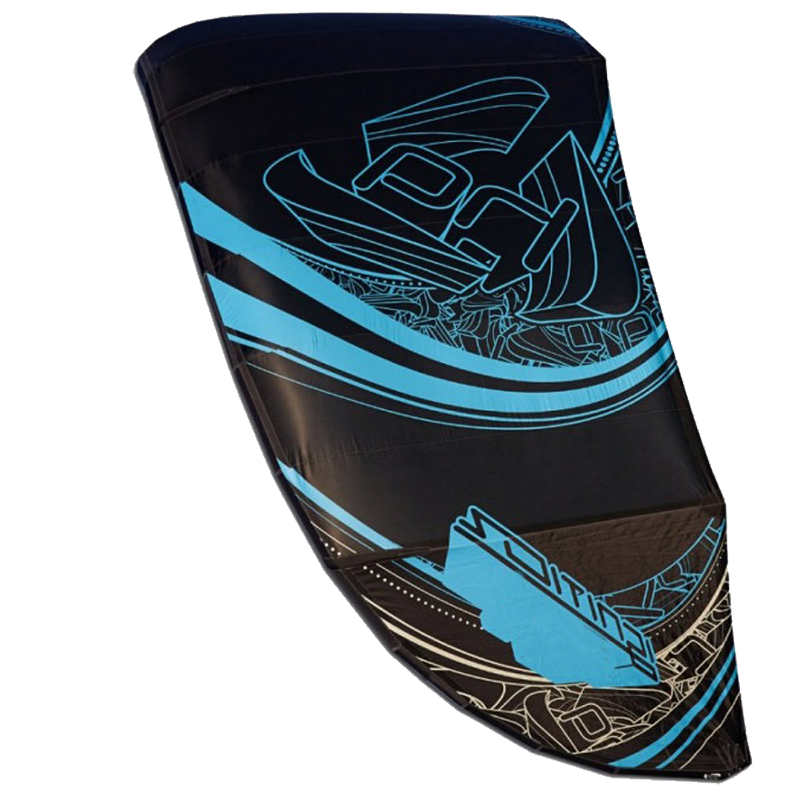 The new and slightly thinner design reduces hand fatigue, even during long kitesurfing sessions. Having no forgiving gear will make it much harder to build up enough confidence to try out new. As the Kite is positioned steady in the central of the wind window, it grants plenty of space for potential errors. Compared to other Kites, the Ignition does not have the tendency to overfly in gusty conditions and is also not vulnerable to stalling. The positioning of the Struts in combination with the Delta Hybrid shape helps to maintain the stable shape of the Kite. This in turn guarantees a solid pull, which will help you from getting on the board as far as doing powered kite loops! In terms of importance, the Wind range does not fall far behind stability. The ignition scores well in this category, too. In contrast to other Kites who depower well, but lose a lot of turning capability during the process, the shape and profile of the Ignition allow for a broad use of the wind range. Ever failed to start an automatic car? Next question. Being usable in a wide range of conditions is not the only advantage of the Ignition. Plenty of settings allow to adapt the Kite to one’s own comfort and specific uses. 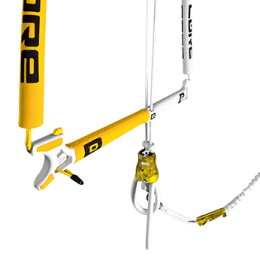 The leading edge for example offers various attachment points, which can be used to adjust the Kite’s position in the wind window. The Ignition serves all kind of preferences, whether it comes to a higher depower setting for riding upwind, minimal bar pressure and more boosting or on the contrary, added grunt, more slack while unhooking and a stiffer feel. The adjustments at the wingtips take control of the turning speed and bar pressure. 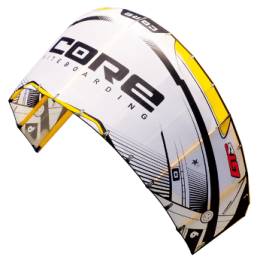 Unique in its application is the pulleyless option, which can be chosen for Kiters who prefer a directer feeling of the kite. Therefore, one just needs to switch to pullyless bridles, which takes less than 2 minutes. This Kite is truly a jack of all trades. It’s reliable and very easy to use. But don’t think for even one second about writing it off as a mere “Beginner Kite”! In order to optimize performance each size has been tuned individually to keep you thrilled at any level. Due to its 3 strut design, the Ignition is light and nimble and can turn quickly, while the bar input is being maximized by the full Dacron wingtip panels. Just let it know where you want it to be and it’s there on a dime!! Wave Kiters will be able to charge onshore conditions, knowing that the kite has the speed to keep the pace. Although the ignition is fast, it doesn’t fall behind in the Power zone. The Delta like shape, which becomes relatively flat towards the center section allows the generation of plenty of power per size. 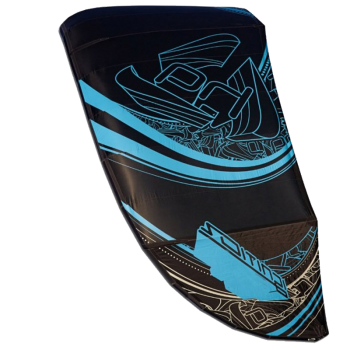 The power is easily controlled through sheeting, making it easy to make it around those large sections of white water in the surf, or power past the competition while racing. Power to blast off and the hangtime to stay in the air. Due to his background in paragliding, the highly skilled designer knows exactly how to form something that flies! 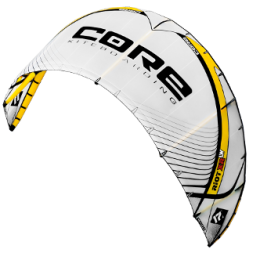 The unique curve in the leading edge of the kite, combined with a simple and efficient bridle, allows you to sheet in for increased hangtime and or softer landings. Throw that extra rotation without the fear of coming down too soon! To be able to progress quickly in the discipline of freestyle, it will help a lot to have a kite that pops of the water with ease and stays steady while completing your tricks. The Ignition stays exactly where you want it to, even while being unhooked. When loaded properly, the lines will slack like a C-Kite, to prevent your arms from being jerked out of the socket. All this in combination with great relaunch ability and a respectable safety system make the Ignition the faithful companion it is. In a nutshell, the Ignition was built to help you progress. With its settings that can easily be adapted to certain conditions, it’s a kite that will grow with you. Most people want a high performance Kite. What they usually not realize is, that the kite that aids the Kiter to perform at his highest level is the one that is easy in use. Grab an Ignition and ignite your progression! • HQ construction for guaranteed quality.